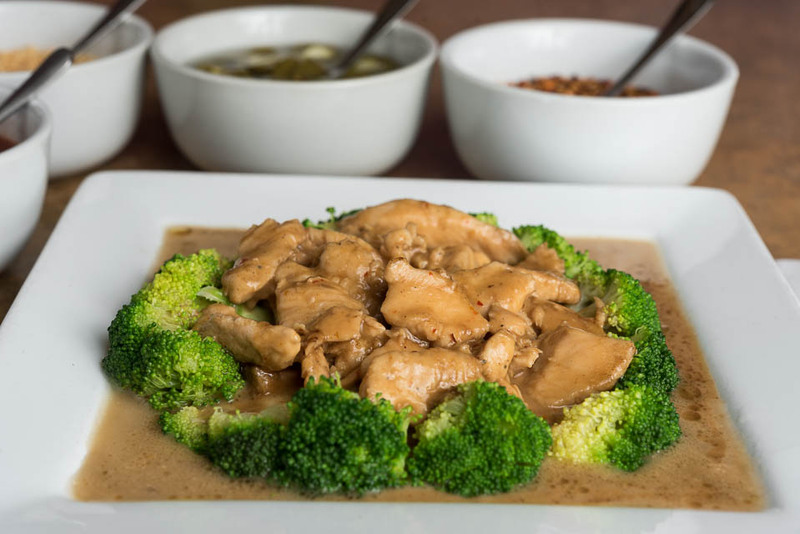 Our family-run Thai restaurant has served residents of Montgomery and the surrounding areas since 1999. We take pride in the authenticity of each of our menu items and the exceptional customer service we provide. Only the freshest ingredients are used in our cooking, and our dishes are unique and bursting with flavor, with traditional family recipes handed down through generations. Originating in Chicago in the 80s, we brought the recipes down to share with Alabama. As unique as it can be, our food is a reminiscence of Thailand for those who have been there. We strive to serve every dish with knowledge that we may help you with most of your food restrictions. From the national dish of Thailand, Pad Thai to Tom Kha, we offer a vast menu of your favorite authentic Thai dishes. Come in and visit us Monday-Friday for our famous lunch specials. Our famous appetizer everyone craves! Eight small egg rolls filled with a mix of chicken, and bean thread noodles. 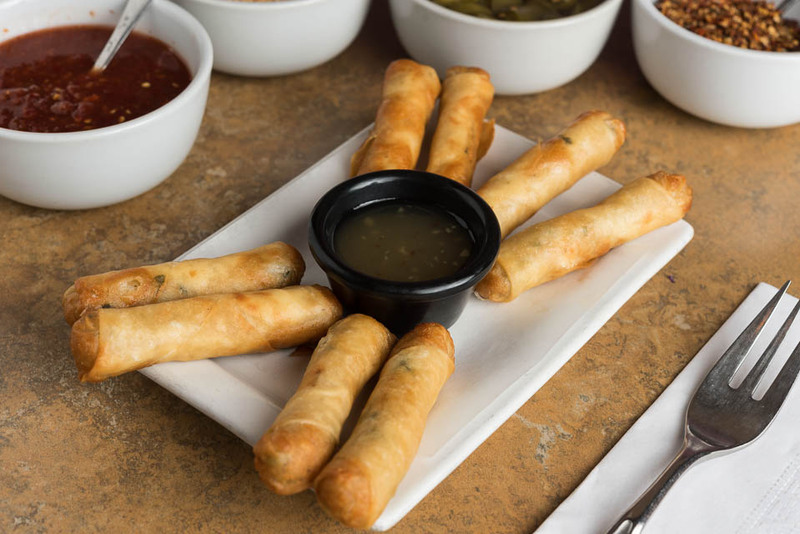 Deep fried until golden brown served with our famous Egg Roll sauce. Six wontons stuffed with seasoned crabmeat and cream cheese. Deep fried and served with sweet and sour sauce. Our traditional twist to what spring really means! Freshly rolled with a combination of cream cheese, cucumbers, bean sprouts, scrambled eggs, and avocado - topped with tamarind sauce. Shrimp, chicken, crabmeat, vermicelli noodles and basil wrapped in rice paper- served with light sweet and sour sauce sprinkled with peanuts. 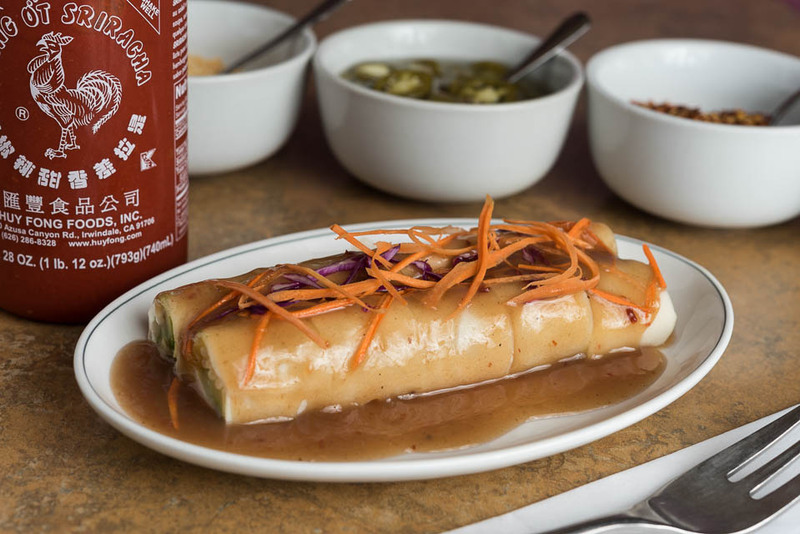 Fresh rolls of vegetables, noodles, and pineapples splashed with dressing served with peanut sauce. Famous Thai appetizer , if a Thai restaurant doesn't have this, walk away! Chicken breast marinated in light curry sautéed and served with a side of peanut sauce and cucumber salad. A traditional delight! Deep fried fish patties stuffed with herbs and spices - served with our special house hot sauce. with slightly spicy soy sauce. Wontons stuffed with chicken in a clear soup with nappa. A homemade delight that consists of light broth, garlic, rice, cilantro, leaf lettuce and chicken. The most famous noodle dish every Thai restaurant should have! Stir-fried thin rice noodles with cabbage, bean sprouts, egg, and crushed peanuts. Famous Drunken Noodles! Stir-fried wide rice noodles with chicken, shrimp, sweet basil leaves, carrots, green beans, baby corn, tomatoes, and hot peppers. Minced protein of your choice mixed with onions, bell peppers, tomatoes, and basil - served with fresh cabbage and vermicelli noodles. Absolutely delicious! Bamboo shoots, basil, carrots, snow peas, baby corn, mushrooms, and chili paste stir-fried together - served on steamed rice noodles. Our tribute to Singapore! Stir-fried vermicelli noodles with powder curry, nappa, onions, carrots, egg, and bean sprouts. Mama June’s Famous dish! Light, spicy curry cooked with green beans, lime leaves, and fresh Thai chili – served with rice. With your choice of ginger sauce, Thai chilli sauce or sweet and sour sauce. Stir fried bell pepper, onion, tomato, jalapeño in a house sweet and slightly spicy sauce. Topped with celantro. Stir fried onions, carrots, mushrooms, bell peppers, tomato in house sweet and sour sauce. Lightly spicy curry cooked with green beans, lime leaves and fresh thai chilli. Fresh ginger stir fried bell pepper, mushrooms, baby corn and hot peppers.